The IEEE Distinguished Lecturers (DL) Program is one of the most exciting offerings available to the IEEE Society Chapters. Each year, the IEEE Power Electronics Society (PELS) selects a few distinguished members of our profession as Distinguished Lecturer. This not only celebrates and honors their high achievements in the field of power electronics but also supports PELS chapter activities by providing high profile speakers for local chapter/section events. The request for a DL presentation should be initiated by a chapter or student chapter of PELS, and approved by the the Regional Chair/Country Liaison, VP of Membership, and the Treasurer of PELS, pending the availability of funds to support such activities. PELS will support DL’s volunteer work by covering transportation expense consistent with the PELS travel reimbursement policy while the local PELS chapter is encouraged to cover the local expenses (lodging, foods, local transportation, etc.). The local chapters and the DLs should make every effort to keep the cost down when making DL lecture arrangement. Alternatively the DLs may be requested to give a live or recorded webinar lecture. If a long distance international travel is required, it is recommended that the DL give more than one lecture in the traveled region (or country) during the trip. The DL program usually does not support a DL giving a presentation or tutorial at a regular IEEE conference unless it is solely sponsored by a local section or chapter. A DL should acknowledge and publicize the support of PELS during his or her lecture. Chapters from other IEEE Societies or non-IEEE entities may request a DL presentation from PELS. PELS chapters may request a particular lecture offered by a DL who has finished his or her term within the past two years. The decision to support such interests or engagements shall be made at the discretion of the VP of Membership on a case-by-case basis, and shall be contingent upon the availability of funds to support such activities. To request a DL talk, please submit your request by completing this form. For PELS DL's and DL Organizers: Please click here to download an overview presentation for the Power Electronics Society member benefits. This presentation can be shown to lecture attendees. 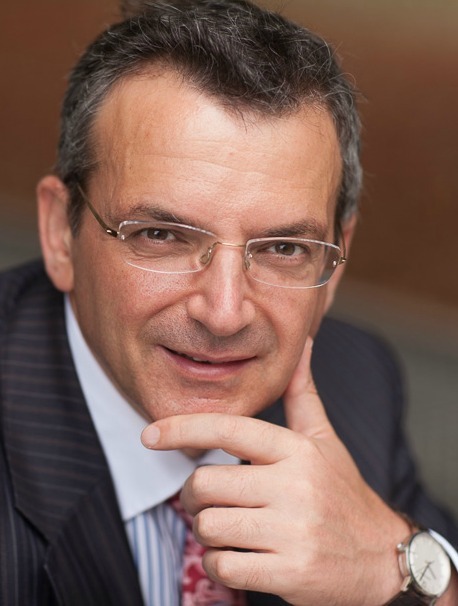 Vassilios G. Agelidis (S’89–M’91–SM’00–F’16) was born in Serres, Greece. He received the B.Eng. degree in electrical engineering from the Democritus University of Thrace, Thrace, Greece, in 1988, the M.S. degree in applied science from Concordia University, Montreal, QC, Canada, in 1992, and the Ph.D. degree in electrical engineering from Curtin University, Perth, Western Australia, in 1997. He also holds a graduate diploma on business administration from the Curtin Graduate School of Business, Perth, Western Australia. He has worked at Curtin University, (1993–1999), University of Glasgow, U.K. (2000–2004 as Senior Lecturer and Research Manager for the Glasgow-Strathclyde Centre for Economic Renewable Power Delivery), Murdoch University, Perth, Australia (2005–2006 as Chair of Power Engineering Professor), the University of Sydney, Australia (2007–2010, where he held the Energy Australia Chair in Power Engineering), and the University of New South Wales (UNSW), Sydney, Australia (2010-2016 as the Director of the Australian Energy Research Institute). In 2015, he was with the ABB Corporate Research Centre, Västerås, Sweden, for a sabbatical. Since October 2016, he is a professor at the Centre for Electrical Power and Energy, Department of Electrical Engineering, Technical University of Denmark. He has also been a visiting professor at Beijing Jiaotong University, China, since 2011 under the Chinese Government’s High End Experts Program. Dr. Agelidis received the Advanced Research Fellowship from the U.K.’s Engineering and Physical Sciences Research Council in 2004. He was the Vice-President Operations within the IEEE Power Electronics Society from 2006 to 2007. He was an AdCom Member of the IEEE Power Electronics Society from 2007 to 2009 and the Technical Chair of the 39th IEEE Power Electronics Specialists Conference, Rhodes, Greece, 2008. He is a Fellow of the IEEE and the IET (UK). The ever increasing progress of high-voltage high-power fully-controlled semiconductor technology continues to have a significant impact on the development of advanced high-power electronic apparatus. These developments advance both the HVDC power transmission and the flexible ac transmission system technologies. In this lecture, an overview of the recent advances in the area of voltage-source converter (VSC) HVDC technology is provided. Selected key multilevel converter topologies are presented. Control and modelling methods are discussed along with applications for wind energy farm integration and other niche applications. This lecture will discuss first solar Photovoltaic (PV) generation technologies, the required power electronics conversion technologies and grid integration strategies of large-scale solar PV farms. It will present inverter grid codes and requirements and other technologies such as forecasting of farm output, algorithms for solar farms semi-scheduled dispatch in electricity markets, energy storage farm support, diagnostics technologies and other integration issues. It will also outline grid impact and solutions. The application and research interest over modular multilevel converters (MMCs) has grown significantly over the last decade. In this lecture, a general overview of the basics of operation of the MMC along with its control challenges are discussed, and a review of topologies and state-of-the-art control strategies and trends is presented. Finally, the applications of the MMC and their challenges are highlighted. The increasing penetration of renewable energy sources (RES) poses a major challenge to the operation of the electricity grid owing to the intermittent nature of their power output. The ability of utility-scale battery energy storage systems (BESS) to provide grid support and smooth the output of RES in combination with their decrease in cost has fuelled research interest in this technology over the last couple of years. This lecture presents power electronics technologies for utility BESS. Huang-Jen Chiu has been with the Department of Electronic and Computer Engineering, National Taiwan University of Science and Technology, Taipei, Taiwan, where he is a Distinguished Professor and the Director of Center for Power Electronic Technologies, now. His research interests include high efficiency/ high power density bidirectional DC/DC converters, PFC topologies, PV inverters, and DSP control in renewable energy applications. His work brought him several distinctive awards including the Young Researcher Award in 2004 from the Ministry of Science and Technology, Taiwan, the Outstanding Teaching Award in 2009 and the Excellent Research Award in 2009 and 2011 from the NTUST, the Y. Z. Hsu Scientific Paper Award in 2010, the Excellent Academic-industry collaboration Award in 2015, and Google Little Box Academic Awards. His student teams won the grand prize of the IEEE International Future Energy Challenge (IFEC) in 2013 and 2015, respectively. Dr. Chiu is an IEEE senior member and serves as an Associate Editor of the IEEE Transactions on Industry Applications and an Associate Editor of the IEEE Transactions on Circuits and Systems Part II: Express Letters (TCAS-II). He is currently the Taipei Chapter Chair of IEEE Industrial Electronics Society and the General Co-chair of 2017 IEEE International Future Energy Electronics Conference (IFEEC 2017-ECCE Asia). Dr. Chiu is actively working in IEEE Taipei Section. He arranged several meetings to promote the local activity of IEEE member in Taipei Section and to increase the number of IEEE membership in Taiwan. He served as the Program Chair of 2015 IEEE International Future Energy Electronics Conference (IEEE IFEEC 2015), the Topic Co-Chair of 2016 International Future Energy Challenge (IFEC 2016) and the Secretary of IEEE PELS/ IES Taipei Joint Chapter during 2010-2014. Dr. Chiu was the organizer of 2014 Symposium on Semiconductor Power Conversion (S2PC 2014) co-sponsored by IEEE PELS/ IES Taipei, KIPE in Korea and IEEJ-IAS in Japan and the organizer of Taiwan-Japan Symposium on Power Conversion (TJSPC 2012) co-sponsored by IEEE PELS/ IES Taipei and IEEJ-IAS in Japan. He also organized the 2015 Cross-Strait Green Energy Forum co-sponsored by the TaiPEA and CES in China. Dr. Chiu is a Fellow of the Institute of Engineering and Technology (IET). He has published more than 300 academic publications in leading international conferences and SCI journals. In the past few years, more and more portable electronics devices adopts wireless power transfer technology that allow them to be recharged without the trouble of plugging in. The wireless power transfer technologies are not limited to low power application. Wireless chargers for EVs are also being developed. The conventional plug in charging may pose a potential risk of electric shock to users if connecters are plugged or unplugged in a high humidity or rainy environment. Other issue that may affect their reliabilities includes insulation wear and oxidation/corrosion of metal contacts. The use of wireless charging techniques can eliminate these concerns. Owing to the energy shortage and the rising awareness of environment protection, not only makes people pay attention to energy saving issue, but jointly affect the development trend of power electronic industries. According to the roadmap of power electronics industries, it includes improving energy conversion efficiency, decreasing components and increasing power density. The talk particularly focuses on high power density AC-DC/ DC-DC/ DC-AC conversion techniques for information technology, electric vehicles, and renewable energy applications. While fossil fuels exhaustion and greenhouse effects are widely concerned around the world, one of the most important issues toward to these problems is to find alternative energy for long-term solutions. Green energy offering the promise of clean and abundant energy gathered from self-renewing sources. Solar cells are unique in that they directly convert the incident solar irradiation into electricity. Photovoltaic power management concepts are essential to extract as much power as possible from panels. The talk particularly focuses on a highly efficient micro-inverter for photovoltaic panels. The related research results will be presented, discussing both challenges and future directions. Dr. Petar J. Grbović received the Dipl. Ing. (B. Sc.) and the Magister (M.Sc.) degrees from the School of Electrical Engineering, University of Belgrade, Serbia, in 1999 and 2005, and the Doctor (Ph.D) degree from the Laboratoire ’Électrotechnique et d’Électronique de Puissance de Lille, l’Ecole Centrale de Lille, France in 2010. From March 1999 to February 2003, he was an R/D Engineer with RDA Co, Belgrade. From November 2000 to June 2001, he was a Consulting Engineer with CESET Italy (a division of Emerson Appliance Motors Europe). From March 2003 to April 2005, he was with the R&D Department, PDL Electronics, Ltd., Napier, New Zealand. 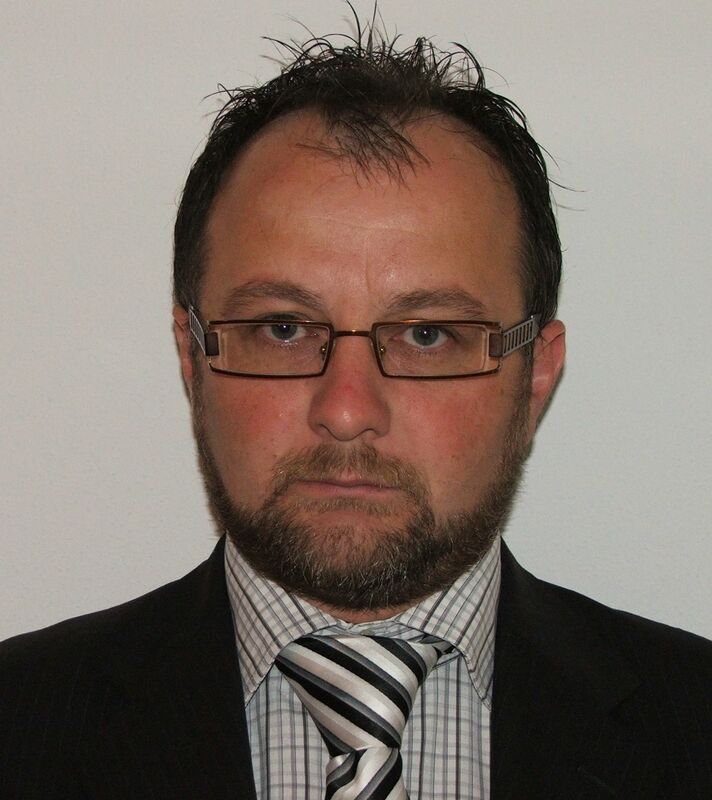 Since April 2005 until July 2010 he was working with Schneider Toshiba Inverter Europe, Pacy-Sur-Eure, France, as Power Electronics Group Expert. Since September 2010 until August 2011 he was with General Electric Global Research, Munich, Germany. 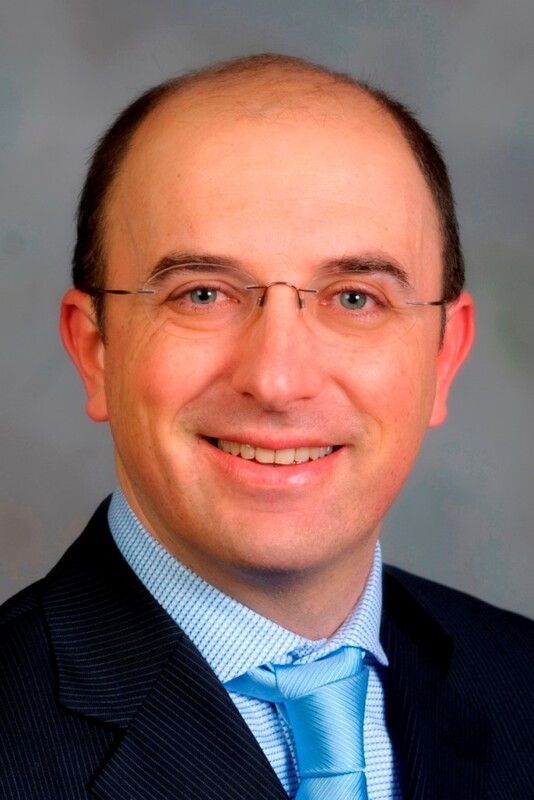 Since September 2011 he is with HUAWEI Technologies, Europe Energy Competence Centre in Munich/Nuremberg, Germany, where he works as a Senior Expert in the area of power electronics and power conversion. Since 2016 he is a scientific member of Centre of Power Electronics and Drives, C-PED Lab., Roma TRE University, Italy. In Novembar 2018 he was appointed as Full (University) Professor at Innsbruck Power Electronics Laboratory (i-PEL), the Institute of Mechatronics, the University of Innsbruck, Austria. The focus of his research is on application and control of advanced power semiconductors, power converter topologies, extreme power density & efficiency power converters, energy storage devices and applications, and control of power converters. Dr. Grbović published over 60 IEEE conference/journal papers, 16 IEEE tutorials and a book “Ultra-capacitors in power Conversion Systems: Analysis, Modelling and Design in Theory and Practice”. He has 17 patents granted and 9 patent application pending. Each new generation of power semiconductor brings new challenges and issues. Some of the issues/challenges make almost impossible to fully utilize advantages of the devices. Gate driver is a key element that links power semiconductor switches and the converter control system. Main functions of a gate driver are: 1) To control state of the power semiconductor switch, 2) To optimize transition from one state to another (conducting to blocking and blocking to conducting state), and 3) To protect the semiconductor switch and entire converter in a case of an unexpected event and hazardous situation. In the first part of the seminar we will briefly review stat of the art as well as the cutting edge technology power devices. In the second part of the seminar different failure modes of power semiconductors will be discussed in details. Then, fundamentals of IGBT and MOSFET gate drivers will be given in the third part of the seminar. In the fourth part of the seminar we will discuss in details gate drivers for the cutting edge technology devices such as SiC & GaN devices, SiC low voltage MOSFETS & SiC IGBTs. Finally, in the last part of the seminar we will discuss active and adaptive gate drivers. Several application examples will be given at the end of the seminar. This seminar is aimed at power electronics engineers who want to improve their knowledge and understanding of art of driving advanced power semiconductor switches and their application in power conversion, nowadays as well as in the near future. Power electronics and static power converters play significant role in industrial applications, power generation and transmission, home appliance, transportation, etc., etc. Today, our life will be completely different without power electronics. Power electronics and power converters, particularly power semiconductors are progressing on daily bases. Designers of new generation of power converters are facing very strong demands to reduce the converter cost, size, weight and losses. To achieve these challenging objectives, new power semiconductors as well passive devices are a Must. However, each new generation of power semiconductor introduces new challenges and issues. Some of them make almost impossible to fully utilize full advantages of new power semiconductor devices. Two of the challenges are high di/dt and dv/dt, which in combination with parasitic inductance and capacitance of the power semiconductor and converter create issues of over-voltage, radiated and conducted EMI emission, stress of the load isolation, etc., etc. The above mentioned issues (di/dt and dv/dt) will make impossible to fully utilize all the benefits of future Wide Band Gap devices such as SiC and GaN. New devices packaging is a must. Where is the limit of new packages? Is it possible to solve all the issue with a new package and new power devices or something more is necessary? New system approach is a MUST! It is necessary to involve new topologies, such as multi-level, multi-cell and multi-level/cell converters. In the first part of the seminar interleaved multi-cell (parallel) power converters will be discussed. The advantages of such a concept, such as switching frequency multiplication, the filter inductance and the dc bus capacitor reduction will be theoretical analyzed and practical examples given. Then, high current applications will be discussed with particular focus on di/dt and related over-voltage reduction. In the second part of the seminar interleaved multi-level (series) power converters will be discussed. The advantage such of such a concept, such as the filter inductance and devices voltage stress reduction will be theoretical analyzed and practical examples given. Then, medium/high voltage applications will be discussed with particular focus on dv/dt issue. Several case studies and design examples will be given as concluding part of the seminar. This seminar is aimed at power electronics engineers, professionals and graduate students who want to improve their knowledge and understanding of multi-level/cell power converters and their capabilities to push the limits of Si as well as WBG devices. Abstract— Power electronics and power conversion in general is today part of every segment of our life. Any piece of electric equipment we have today is somehow based on power electronics and converters; home appliance, industrial equipment, renewable energy, automotive, avionic, etc., etc. Conversion efficiency, specific power, power density and converter cost are today the most critical requirements for new converters. One way to increase the efficiency and reduce cost/size/weight is to deploy multi-level and/or multi-cell converters and partial power processing power converters. A novel solution to ultra-high efficiency and specific power dc/dc converters has been proposed and theoretically investigated in this seminar. The solution is based on the fact that in most of application we do not need to process entire dc bus voltage and output current. We can process a fraction of the dc bus voltage and/or the load current. In other words, we do not need to process the converter total rated power; we would process just a fraction of the rated power. This is so-called concept of Partial Power Rated Converters (PPRC). Typical target applications are PV boost converters, energy storage (batteries and ultra-capacitors) interface converters, isolated ac/dc power supplies, electric drives, etc., etc. Advantages of the PPRC concept, such as significant reduction of the input/output filter size & weight, voltage rating of power devices and conduction/switching losses are theoretically investigated and discussed in the seminar. Various applications such as energy storage interface converters, isolated ac-dc converters and double feed electric machines are also discussed. Several case studies and design examples are given in concluding part of the seminar. One particular design example presented in the seminar is 25kW battery interface dc/dc converter. An extraordinary efficiency of 99.5%, specific power of 30kW/kg and power density of 50kW/dm3 have been achieved. This seminar is aimed at power electronics engineers, professionals and graduate students who want to improve their knowledge and understanding of advanced concepts of power conversion, such as Partial Power Rated Converters and applications. Power electronics and static power converters play significant role in industrial applications, power generation and transmission, home appliance, transportation, etc., etc. In most of the applications above mentioned, we are facing higher and higher demand for an energy storage device. Several different energy storage technologies are available today: flywheel, electrochemical double layer capacitors (EDLC), fuel-cells (FC) and electrochemical batteries. Energy storage cannot be directly connected to the power conversion system. An interface ac/dc or dc/dc power converter between the energy storage and the system is required. In the first part of the seminar state of the art energy storage devices, their applications, design and sizing will be intensively discussed. In the second part of the seminar, we will discuss interface power converters such as dc/dc and ac/dc converters. The discussion will cover different topologies such as voltage and current source converters, multi-cell and multi-level converters, isolated and non-isolated converters, full and partial power rated converters, etc., etc. Control strategy for different concepts and applications will be covered too. Several case studies and design examples will be given as concluding part of the seminar. This seminar is aimed at power electronics engineers, professionals and graduate students who want to improve their knowledge and understanding of advanced energy storage devices, interface converters and their application in power conversion, nowadays as well as in the near future. Paolo Mattavelli received the Ph. D. degree in electrical engineering from the University of Padova (Italy) 1995. From 1995 to 2001, he was a researcher at the University of Padova. From 2001 to 2005 he was an associate professor the University of Udine, where he led the Power Electronics Laboratory. In 2005 he joined the University of Padova in Vicenza with the same duties. From 2010 to 2012 he was a professor and member of the Center for Power Electronics Systems (CPES) at Virginia Tech. He is currently (2017) a professor at the University of Padova, leading the Power Electronics Lab. in Vicenza. His major field of interest includes analysis, modeling and analog and digital control of power converters, grid-connected converters for renewable energy systems and micro-grids, high-temperature and high-power density power electronics. In these research fields, he has been leading several industrial and government projects. He has published more than 100 journal papers and more than 250 conference papers. His current google h-index is 57. 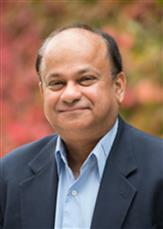 From 2003 to 2012 he served as an Associate Editor for IEEE Transactions on Power Electronics. From 2005 to 2010 he was the IPCC (Industrial Power Converter Committee) Technical Review Chair for the IEEE Transactions on Industry Applications. For terms 2003-2006, 2006-2009 and 2013-2015 he has been a member-at-large of the IEEE Power Electronics Society’s Administrative Committee. He also received in 2005, 2006, 2011 and 2012 the Prize Paper Award in the IEEE Transactions on Power Electronics and in 2007, the 2nd Prize Paper Award at the IEEE Industry Application Annual Meeting. He is an IEEE Fellow. The lecture will address several latest issues related to the modeling, design, implementation of digital control in Power Electronics, with a specific focus on high-frequency switching converters. The lecture will first describe some basics related to the modeling and implementation of digitally controlled power converters. The effect of oversampling on the reduction of the control delay and on the achievable dynamic response is discussed. Then some digital control design criteria, starting from the standard equivalent analog representation and then moving to the discrete time analysis with some illustrative design compensation examples. The lecture will then move to non-linear action (such as the time-optimal approach) to highlight the benefits of the digital approach. To complete the overview of some high-performance digital control, the digital hysteresis modulation, the time-event control and the oversampled control are presented. Finally, a set of auto-tuning techniques will be addressed. The final part of the lecture will address some examples of grid-connected power converters, to show how some of the proposed analysis can be applied also to power converters connected to the utility grid. The increasing number of renewable energy sources and energy storage devices connected to the grid has the potential to progressively increase the network performance in terms of efficiency, stability and demand response, while allowing full exploitation of any kind of Distributed Energy Resources (DERs). For this purpose the electronic power processors (EPPs) interfacing the power sources or storage elements with the distribution grid must be driven properly, controlling their active and reactive currents and harmonic distortion so as to improve power sharing, voltage stability and distribution losses. This lecture is aimed to give the fundamental knowledge of stability of electronic power processors used in Distributed Energy Resources in future microgrids, focusing in the interaction and stability of ac and dc microgrid using the impedance-based approach. Krishna Shenai is a Senior Fellow at the Computation Institute, University of Chicago, Chicago, Illinois (USA) and an Adjunct Professor of electrical engineering and computer science at Northwestern University, Evanston, Illinois (USA). He earned the B. Tech. degree in electronics from IIT-Madras (India) in 1979, MS degree electrical engineering from The University of Maryland – College Park, MD (USA) in 1981, and the PhD degree in electrical engineering from Stanford University in 1986 with specialization in microelectronics and integrated circuit (IC) technologies. At Stanford his research focused on GaAs transistor physics and technology for high-speed IC and RF/microwave electronics. He also worked on developing refractory metal/silicide multi-level metallization based on CVD tungsten and tungsten silicide processes that provided the foundation technology for today’s silicon submicron ICs. He was a graduate student intern at the HP Labs in Palo Alto, CA while pursuing his doctoral degree studies. Prior to joining Stanford, Dr. Shenai was a member of the research team at COMSAT Labs in Clarksburg, MD that developed world’s first GaAs MMIC for broadband satellite communication where his research focused on cryogenically cooled microwave power amplifiers. He joined the GE Research Center in Schenectady, NY in 1986 and pioneered low-voltage silicon power MOSFETs, synchronous power rectifiers and high-density power supplies that set new industry standards and provided the foundation technology for manufacturing several commercial discrete and integrated silicon power products. He also proposed the use of wide bandgap (WBG) semiconductors for advanced power electronics and RF power amplifiers – a key technology that is expected to be the cornerstone of emerging 21st century energy economy. During 1990-1993, Dr. Shenai was the senior researcher in a team that developed the first two generations of Intel’s Pentium™ microprocessors with responsibilities for design and manufacturing of 0.5/0.35 micron CMOS/BiCMOS devices and mixed-signal circuits. Since 1993, Dr. Shenai has been in academia where he has developed and delivered over $80 million sponsored research to industry and government, produced three dozen graduate students with theses dissertations, and developed state-of-the-art educational curricula and research/teaching laboratories. In 1998, he founded and directed world’s first industry-government sponsored academic research consortium to investigate the field-reliability of compact computer/telecom power supplies. This research developed new accelerated testing methods and design guidelines to develop compact power supplies with 1 million hours of MTBF. Dr. Shenai’s academic research has provided foundation technologies for several industrial products that have been netting multi-billion dollar annual sales revenues. These include, for example, silicon RF power MOSFETs and power amplifier modules, high-voltage IGBTs, high-density reliable computer/telecom power supplies, adaptive power management of battery-operated wireless OEMs, WBG power devices and power converters, and WBG power amplifiers. Dr. Shenai also raised venture financing for two startup companies to commercialize his academic inventions and managed both companies to successful outcomes. While at Argonne National Labs during 2012-2014, Dr. Shenai led all R&D efforts in power electronics and architected DOE’s PowerAmerica Institute – the first and only NNMI on WBG power converters. In the last 40+ years as a researcher, teacher and entrepreneur Dr. Shenai has made seminal contributions to power semiconductor materials, devices and circuits. He has authored or co-authored over 400 peer-reviewed archived papers in top international journals and conference records, edited 3 books and 12 conference digests, and is a named inventor in 12 issued US patents. Dr. Shenai is one of the leading international authorities in solid-state power conversion and serves as a consultant on matters related to R&D and manufacturing, intellectual property, and technology commercialization. He is a Fellow of IEEE, a Fellow of the American Physical Society (APS), a Fellow of the American Association for the Advancement of Science (AAAS), and a foreign member of Academy of Engineering of Serbia (AES). Currently he serves as an Editor of the IEEE J. Electron Devices Society (EDS). High-frequency switching of semiconductor power devices leads to dramatic miniaturization of power converters with a potential for significant cost and size reduction of advanced energy conversion systems. However, high-frequency power switching also leads to increased switching power losses that could potentially result in significant degradation of power converter reliability. The application-level reliability of a power converter is among the least understood topics today. There are no established guidelines that can be used to design a power converter in order to guarantee a certain mean-time-between-failures (MTBF) or mean-time-to-failures (MTTF). This talk will discuss the current approach followed in industry for assessing the field-reliability of power converters and will outline a new approach that emphasizes on physics-based component failure mechanisms. Our ability to generate, store, and utilize DC electricity locally from clean and sustainable energy sources without the need for long-range transmission and distribution system enables the possibility for transformational advances in the electric utility and transportation infrastructures. The use of DC electricity enhances system-wide efficiency and reduces the overall cost. DC- and hybrid-microgrids powered by distributed clean energy sources such as wind, solar, and natural gas systems can rapidly contribute to human development around the world, and especially in emerging economies. Likewise, electric vehicles powered with clean energy technologies have the potential to dramatically impact impending global climate changes. This talk will discuss the current status and emerging trends in this strategic technology. Power electronics switching devices made on wide bandgap (WBG) semiconductors such as silicon carbide (SiC) and gallium nitride (GaN) have the potential for superior electrical and thermal performances compared to silicon power devices. Furthermore, WBG power devices open up a plethora of new high-voltage and high-temperature power electronics switching applications. This talk will discuss the history, current status and emerging trends in WBG power conversion electronics. The presentation will also focus on opportunities and challenges pertinent to application engineering and manufacturing of WBG power devices in a number of strategic power conversion applications including motor control, electric vehicles, and distributed power generation. 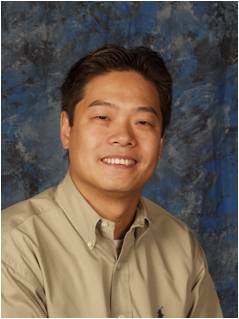 Dr. Jian Sun joined the faculty at Rensselaer Polytechnic Institute (RPI) in 2002, where he is currently a Professor in the Department of Electrical, Computer and Systems Engineering. He is also Director of the Center for Future Energy Systems (CFES) funded by New York State government. His research interests are in the general area of power electronics and energy conversion, with an emphasis on modeling, control, and different applications including renewable energy, power systems and aerospace. Dr. Sun received his Dr.-Ing. degree from the University of Paderborn in Germany. Prior to joining RPI, he spent five years at the Advanced Technology Center of Rockwell Collins working on power electronics for aircraft power systems, and was a Post-Doc Fellow at Georgia Tech from 1996 to 1997. His professional services to the power electronics community included serving as Editor-in-Chief of IEEE Power Electronics Letters from 2008 to 2014 and as Treasurer of IEEE Power Electronics Society since 2013. 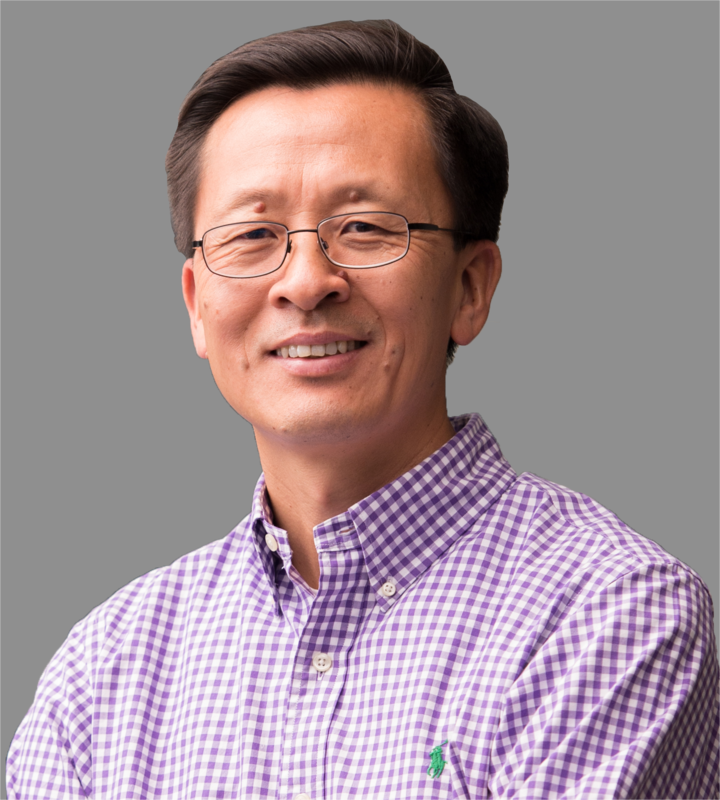 Dr. Sun received the IEEE PELS Modeling and Control Technical Achievements Award in 2013 and the R. David Middlebrook Outstanding Achievement Award in 2017. He is a Fellow of IEEE. Resonance is a new challenge faced by the renewable energy and HVDC industry in recent years, having caused various practical problems that range from unacceptable power quality, to frequent tripping of protection, and to physical damage of wind turbines, PV inverters and HVDC converters. This lecture presents field measurements and first-hand experiences with such system resonances to identify their common behaviors and characteristics, explain their root causes using sequence impedance models, and review different methods to damp them. Recent advances in the development of power electronics control technologies and industry standards to prevent power system resonances are also reviewed. This lecture presents an overview of power electronics application in power systems, with an emphasis on renewable energy and high-voltage dc (HVDC) transmission. The lecture starts with a review of modern voltage-source converter technologies, and introduces different control functions required for grid interface. Grid-interconnect requirements and their impacts on wind and PV inverter as well as HVDC converter designs are then explained. The effects of power electronics on the design, operation, control and stability of future power systems are highlighted by examining fundamental characteristics of power electronics in comparison with conventional electromechanical and electromagnetic energy conversion and control technologies. Characteristics of utility power systems are undergoing some fundamental changes because of the rapidly growing use of power electronics. The fast control of power converters introduces high-frequency dynamics, creating the potential for new stability and resonance problems that are above the frequency range of traditional power system stability studies and require new modeling and system analysis methods. Small-signal sequence impedance theory was developed to meet this need. It has been successfully used to solve practical resonance problems in various systems and is gaining broad acceptance in industry. This lecture introduces the theory and gives an overview of its applications. Robert S. Balog received the B.S. degree in electrical engineering from Rutgers, The State University of New Jersey, New Brunswick, NJ, USA in 1996, and the M.S. and Ph.D. degrees in electrical engineering from the University of Illinois at Urbana-Champaign, Urbana, IL, USA, in 2002 and 2006, respectively. His current research interests include power electronic converters and balance-of-systems technologies for solar photovoltaic energy, microinverters for ac photovoltaic modules, and highly reliable electrical power and energy systems including dc microgrids. 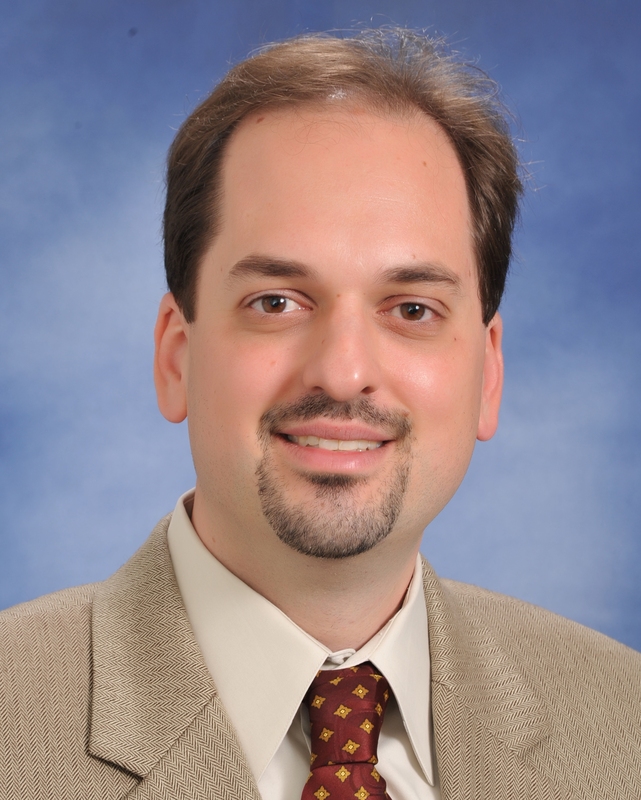 Dr. Balog joined Texas A&M University, College Station, TX, USA, in 2009 where he is currently an Associate Professor in the Department of Electrical and Computer Engineering and Director of the Renewable Energy and Advanced Power Electronics Research Laboratory. He holds a joint faculty appointment with Texas A&M University at Qatar where he is currently in-residence. Prior to joining TAMU, from 1996 to 1999, he was an Engineer with Lutron Electronics, Coopersburg, PA, USA where he developed lighting controls and systems. From 2005 to 2006, he was a Researcher with the U.S. Army Corp of Engineers, Engineering Research and Development Center, Construction Engineering Research Laboratory, Champaign, IL, USA where he was involved in researching concepts for military migrogrids. From 2006 to 2009, he was a Senior Engineer at SolarBridge Technologies, Champaign, IL, USA were he lead the technology transfer of the microinverter he developed while a graduate student at the Univeristy of Ilinois. As a non-equity technology founder he invented the orginal technologies, directed the initial engineering team, and was part of the executive team that secured the $6 million Round A funding from a Tier I venture capital firm. The startup company was acquired by Sunpower Corp in 2014 which at the time was on the the largest companies in the PV module industry. Dr. Balog is a Registered Professional Engineer in the State of Illinois and a Senior Member of the Institute of Electrical and Electronics Engineers (IEEE) were he is currently serving as an elected Member-at-Large for the Power Electronics Society Administrative Committee and has previously served as the chair of the Membership committee and Graduates of the Last Decade committee. He was the Technical Program Chair for the 2016 IEEE Energy Conversion Congress and Exposition which is internationally recognized as one of the two flagship conference on power electronics. He received the inaugural IEEE Joseph J. Suozzi INTELEC Fellowship in 2001 for his work on power electronics in telecommunications systems. Has been a member of Eta Kappa Nu, Sigma Xi, National Society of Professional Engineers, American Solar Energy Society, and Solar Electric Power Association. He was recognized as an external member of the Hungarian Academy of Science in 2011 and was the recipient of the 2011 Rutgers College of Engineering Distinguished Engineer Award. Dr. Balog holds 18 issued U.S. patents, with many additional pending, and received a 2017 Texas A&M System Technology Commercilization Patent Award. He is co-author of the book “Microgrids and other Local Area Power and Energy Systems” published by Cambridge University Press in 2016. With the advent of thin film technology, solar photovoltaic (PV) systems can now be installed, conformal coated, and even painted onto arbitrary surfaces. This is a paradigm shift from the traditional building-applied rigid planar modules to free-form building-integrated photovoltaic systems. PV arrays installed on curved surfaces enable new concepts for PV applications but also present new challenges for balance-of-system components, electrical interconnections and power conditioning electronics. Non-uniform and rapid changes in insolation complicate maximum power point tracking, which is well-known for planar PV, but more complicated when the non-planar surfaces introduce the partial shading. Yet, these non-planar surfaces offer opportunities to increase energy harvest and shape the time-of-day generation profile all while creating an architecturally appealing – even invisible – energy system. For years photovoltaic systems were all about the cells – specifically their cost and efficiency. It can be said that today’s cells are good enough and cheap enough. This talk examines the other costs and performance issues in photovoltaic systems – the so called balance of systems - to explore other technologies and considerations that warrant attention if photovoltaic systems are truly to become ubiquitous. Topics that will be explored include module vs string level power processing, aging of components, electrical hazards including arc detection – an emerging UL 1699B standard. The secondary distribution system is the unsung hero of the modern electrical system. This is where the typical user interacts with the electric utility – the so call grid-edge. Even when individual loads are well-behaved, the aggregate can cause power quality problems for other loads and reduce power transfer capability for the utility. This talk will explore a solid-state power conditioner that can compensate reactive and harmonic power at or near the source, before it flow upstream to the substation. As a fully controllable device, it can be deployed and dispatched as needed in the network. Hui “Helen” Li (S’97–M’00–SM’01–F’18) received the B.S. and M.S. degrees from Huazhong University of Science and Technology, Wuhan, China, in 1992 and 1995, respectively and the Ph.D. degree from the University of Tennessee, Knoxville, TN, USA, in 2000, all in electrical engineering. From 1999 to 2000, she worked at Power Electronics and Electric Machinery Research Center of Oak Ridge National Laboratory. Currently she is a professor of Electrical and Computer Engineering Department, FAMU-FSU College of Engineering, USA. She leads power electronics research at Center for Advanced Power Systems (CAPS), Florida State University since 2002. Her research interests include dc-dc converters, multilevel inverters, and PV inverters applying WBG devices. She has led a number of projects in the past to develop solid state transformers and PV converters. She has published over 100 high quality papers and the recipient of NSF Career Award (2007), IEEE PELS Transaction Paper Award (2014), and IEEE IAS Industrial Power Converter Committee Prize Paper award (2014). She is an associate editor of IEEE Transaction on Power Electronics and IEEE Journal of Emerging and Selected Topics in Power Electronics. She is the elected member at large of Administrative Committee of IEEE Power Electronics Society from 2011-2013, 2015-2017, and 2018-2020. She is a Fellow of the IEEE. The current-source SSTs has gained increasing interest due to its superior fault tolerance and control flexibility compared to the voltage-source SST. In this lecture, an overview of the recent advances in the area of current-source SST technology is provided. Two major current-source converter topologies for SST application are presented. The modulation methods and the control/modelling will also be discussed. Multilevel topologies have already been adopted by PV inverter industry and applied in commercial products. The combination of WBG device with multilevel topology can achieve filter-less feature for grid-tied PV inverters which can reduce cost, increase efficiency and improve stability. This lecture will cover the GaN based cascaded z-source inverter for residential PV inverters and SiC based T-type inverter for commercial PV inverter applications. The ground leakage current suppression and control stability of filter-less PV inverters will be addressed as well. Udaya K. Madawala graduated with a B.Sc. (Electrical Engineering) (Hons) degree from The University of Moratuwa, Sri Lanka in 1987, and received his PhD (Power Electronics) from The University of Auckland, New Zealand in 1993 as a Commonwealth Doctoral Scholar. At the completion of his PhD, he was employed by Fisher & Paykel Ltd, New Zealand, as a Research and Development Engineer to develop new technologies for motor drives. In 1997, he joined the Department of Electrical and Computer Engineering at The University of Auckland as a Research Fellow. At present, as a Full Professor, he focuses on a number of power electronics projects related to wireless grid integration of EVs for V2G applications and renewable energy. Udaya is a Fellow of the IEEE and has over 30 years of both industry and research experience in the fields of power electronics and energy. He has served both the IEEE Power Electronics and Industrial Electronics Societies in numerous roles, relating to conferences, technical committees and chapter activities. Currently, Udaya is an Associate Editor for IEEE Transactions on Industrial Electronics and IEEE Transactions on Power Electronics, and a member of the Sustainable Energy Systems Technical Committee and the Oceania Liaison Chair of Membership Development Committee of the IEEE Power Electronics Society. He was the General Chair of the 2nd IEEE Southern Power Electronics Conference (SPEC), held in New Zealand in 2016, and is also a member of the SPEC Steering Committee. Udaya has over 250 IEEE journal and international conference publications, and holds a number of patents related to wireless power transfer and power converters. 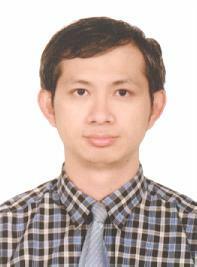 He is a keynote, plenary and tutorial speaker, and offers his service to industry as a consultant. Global concerns relating to air-quality and depleting fossil reserves are further exacerbated by the rapidly escalating number of vehicles on roads around the world. Although electric vehicles (EVs) are gaining wider acceptance as the means of future transport, addressing these concerns, an efficient, compact and reliable power electronic interface is essential for grid integration of EVs. This seminar presents trends together with the latest advances in grid integration of EVs and its impact on the power grid and infrastructure. Both wired and wireless technologies employed for grid integration of EVs are presented, discussing safety, standards, magnetics, power levels, efficiency and cost etc. The seminar focuses particularly on the stationary and dynamic wireless EV charging technology and presents its latest advances, highlighting the challenges and future directions. Electric vehicles (EVs) are gaining global acceptance as the means of future transport for sustainable living and as an alternative energy storage to stabilize the electricity network through the vehicle-to-grid (V2G) concept. For V2G applications, EVs essentially require a bi-directional power interface with the electricity network (grid) to allow for both storing (charging) and retrieval (discharging) of energy. This can be achieved by both wired and wireless means, but the latter, based primarily on Inductive Power Transfer (IPT) technology, is becoming more popular, being convenient, safe, and ideal for both stationary and dynamic (while on the move) charging of EVs. This seminar presents trends and the latest advances in wireless grid integration of EVs, focusing particularly on the bi-directional wireless power transfer (BD-WPT) technology developed for V2G applications. The latest advances in relation to both stationary and dynamic wireless charging are discussed, highlighting the solutions proposed to mitigate the problems associated with pad-misalignment, synchronization and pulse charging. Sudip K. Mazumder received his Ph.D. degree from Virginia Tech in 2001. He is a Professor and the Director of Laboratory for Energy and Switching-Electronics Systems in the Department of Electrical and Computer Engineering at the University of Illinois, Chicago (UIC). He also serves as the President of the small business NextWattLLC. He has over 25 years of professional experience and has held R&D and design positions in leading industrial organizations and has served as a Technical Consultant for several industries. His current areas of interests are switching-sequence and switching-transition based control of power-electronics systems and interactive-power networks; power electronics for renewable energy, micro/smart grids, energy storage; wide-bandgap (GaN/SiC) power electronics; and optically-triggered wide-bandgap power semiconductor devices. His research has attracted about 50 sponsored-research projects from leading federal agencies and industries, and yielded over 200 peer-reviewed publications in prestigious tier-one international journals and conferences, 10 patents, 10 book chapters and 1 book, and 85 invited/plenary/keynote lectures and presentations. He has guided/guiding 12 post-doctoral researchers and 15 Ph.D. and 10 M.S. students. He is the recipient of UIC’s Inventor of the Year Award (2014), University of Illinois’ University Scholar Award – university’s highest award (2013), IEEE International Future Energy Challenge Award (2005), ONR Young Investigator Award (2005), NSF CAREER Award (2003), and IEEE PELS Transaction Paper Award (2002). In 2016, he was elevated to the rank of an IEEE Fellow and he was invited to serve as a Distinguished Lecturer for IEEE PELS beginning in 2016. He served/serving as the Guest Editor-in-Chief/Editor for IEEE PELS/IES Transactions between 2013-2014 and 2016-2017, as the first Editor-in-Chief for Advances in Power Electronics (2006-2009), and as an Associate Editor for IEEE PELS/TAES/JESTPE/TII Transactions (2009-/2008-/2016-/2016-). Currently, he serves as the Chair for IEEE PELS TC on Sustainable Energy Systems. This presentation provides a radically different perspective to control of switching power electronic systems. It is based on controlling the time evolution of the switching states (i.e., switching sequences) as well as controlling the switching transition of the power semiconductor device of the solid state electronic system. The former – i.e., switching-sequence based control (SBC) yields rapid response under transient condition, optimal equilibrium response, and yields seamless transition between the two states of dynamics. By enabling integration of modulation and control, SBC precludes the need for ad-hoc offline modulation synthesis. In other words, an optimal switching sequence for the power converter is generated dynamically without the need for prior determination of a modulation scheme (which generates a pre-determined switching sequence) in typical conventional approaches. One of the distinctions between SBC and conventional model predictive control (MPC) is that SBC ensure optimal determination of the switching sequence of the power converter under stability bound. The presentation will provide the mechanism to carry out SBC and MPC control syntheses and demonstrate the differences between SBC and MPC. Several device, converter, and network level implementations (e.g., motor drive, multilevel converter, microgrid, parallel inverters, aircraft power systems) of the SBC will be provided. The second part of the presentation will focus on switching transition control (STC). The primary objective of STC is to demonstrate how key power electronic system parameters including dv/dt and di/dt stress, switching loss, electromagnetic noise emission can be controlled dynamically by modulating the dynamics of the power semiconductor devices. Both electrical and newly developed optical control mechanisms to achieve STC will be demonstrated. In the context of the latter, mechanisms for monolithic integration of switching sequence control as well as switching transition control will be outlined and the revolutionary impact of such a novel integration on system performance will be demonstrated with practical applications. Modular approach to scaling for multifunctionality, multi-quadrant operation, and voltage/current/power scalability has been a desire in power electronics since the beginning. Differential-mode power converters provide such a modular, symmetric, and single-stage solution to this problem with reduced device count and implementation. This yields low cost, suitability for dc/ac, ac/dc, ac/ac, and dc/dc, and intermediate dc-link capacitor-less solution. The universal topological solution has already been demonstrated for practical applications (e.g., solar inverter, battery charger) encompassing all of the 4 quadrants of power-electronic applications with both silicon- and wide-bandgap based power semiconductor devices and wide range of switching frequencies. New modulation schemes and control schemes have been developed that enable both centralized as well as decentralized modes of operation. In this presentation, the benefits and applications of the differential-mode power converter will be described along with its topological descriptions, modes of operation, design descriptions, modulation schemes, and control mechanisms. Further, how the universality and scalability is achieved will be delineated as well. Optimal compromise between stability margin and performance of power-electronics systems is an ongoing challenge. It has now attained greater significance due to emerging applications encompassing but not limited to ac/dc microgrids (where multi-scale harmonic interactions and source intermittencies are redefining the need for modeling and stability), electric aircraft and ship power distribution systems (where plurality of loads that coupled over a non-stiff network and increasingly exhibit pulsating, nonlinear, and impulsive dynamics), multi-input-multi-output wireless power networks that are subjected to multi-channel variations, and applications of distributed power systems in telecommunication, data centers, point-of-load converters. In this presentation, we present a generalized approach, using switching and hybrid models, to investigate the global stability of standalone, integrated, and networked power-electronics systems, based on the research advancements made during the last two decades. Unlike conventional analyses techniques using averaged models, whose predictions are typically limited to averaged dynamics (under periodic switching conditions), the analyses techniques discussed in this presentation account for the switching dynamics of the power-electronics systems under saturated, quasi-saturated, and unsaturated (periodic-switching) operating conditions. To describe techniques for global stability analyses of power-electronics systems, the presentation is divided into two key focus areas, namely (a) analytical techniques based on composite Lyapunov functions to predict transient stability of a converter/converter network and its reachability (i.e., convergence of error/state trajectories from any arbitrary initial condition to equilibrium), and (b) steady-state stability predictions using bifurcation-analysis and other advanced nonlinear methodologies. Subsequently, an assessment will be made regarding the predictions of these new nonlinear techniques as compared to those predicted by conventional average-modeling-based methodologies. Further, we describe how these nonlinear-analyses techniques can lead to the development of advanced hybrid and optimal controllers, which yield better dynamic performances while ensuring large-scale stability of the power-electronics systems.